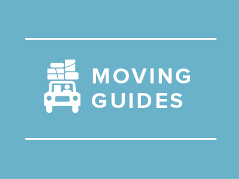 The Quick, Complete Checklist for Moving. Being unprepared for a move can turn an easy, hassle-free day into one that’s filled with worry and stress. Don’t take the risk - follow our checklist for moving below to guarantee you get from point A to point B without any troubles. First time mover? Or, maybe you moved in the past… and things didn’t quite go as planned? If you’re by yourself or with your family, the points below will help things go smoothly on the day of. * Start early. Packing always takes longer than expected, especially if you’re sorting through items to decide which ones to keep. Unless you’re paying extra for the moving company to pack your belongings as well, begin the process a full month out to guarantee you’re ready on the big day. * Book a truck.Moving companies are almost always booked a few weeks in advance. Reserve your truck with VMovers ASAP, especially if you’re moving on a popular day like September 1st. * Notify everyone of your new address, including essential services (utilities, bills, etc.) along with non-essential services (cable, magazines, etc.). * Put together a pack that will last you for a few days. You don’t want to be unpacking boxes at random, trying to find what you need. Instead, make a bag with clothing, toiletries, food, cash, medicine, and any other essentials. Even if you take your sweet time unpacking, you won’t be inconvenienced by the move. * Mail in your change of address form. If someone tries to deliver mail to you at your old address, USPS will automatically reroute it to your new address. * Label everything. Give your moving company as much direction as possible on what is fragile, where certain items should go, etc. This is arguably the most important point of the moving checklist - without proper guidance, your boxes and belongings will be scattered throughout the house at random. Homeowners, as long as you plan leading up to the move, you can consider moving day as a real day off. Just make sure to prepare, and of course, remember to get your moving men drinks and food! Businesses have the same basic process for moving as homeowners do, but there are a few extra steps that homeowners don’t have to worry about. * Notify associates early. Clients, suppliers, partners, and anyone whom you do business with should be aware that you will be at a new address soon. If possible, receive a confirmation message from every business associate. * Begin planning your new office layout. Businesses don’t have the luxury of time that homeowners do. Ideally, the day after the move, you want your business functioning just as it usually does. Plan what and who will go where with plenty of time to spare. * Make sure your employees clean their spaces. If they don’t, you might get hit with a bill by the property owner, or you might not get your security deposit back. * Clearly delegate tasks to employees (if they are involved in the move). Most commonly, employees will assist with the setup in the new office, but not necessarily the heavy lifting of boxes and furniture. Leave the heavy lifting to VMovers. If you’re being proactive about your move, you want to go with a moving company that understands the need for efficiency. Call (888) 308-2797 or request a moving quote from Vmoving.org today.